Court Cupboard Gallery01873 852011work Craft CentreAt the Court Cupboard, along with the many varied and high quality arts and crafts, visitors can enjoy refreshments and 'Clams' locally made cakes in a comfortable coffee shop, which is manned by different craftspeople daily who can often been seen making some of the craft items on display in the gallery. 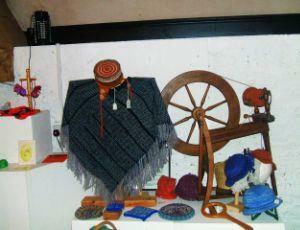 There is also an extensive programme of craft-related workshops available to customers wishing to learn new skills. Adjacent to the Court Cupboard is Campbell's Nursery, which sells an array of plants and shrubs for all seasons. At the Court Cupboard, along with the many varied and high quality arts and crafts, visitors can enjoy refreshments and 'Clams' locally made cakes in a comfortable coffee shop, which is manned by different craftspeople daily who can often been seen making some of the craft items on display in the gallery.